You will earn 2.51 Reward Points. Earn 1 reward point for every 1 dollar spent. Easily serve soups, sauces and other liquid foods with an Admiral Craft ladle for restaurants. 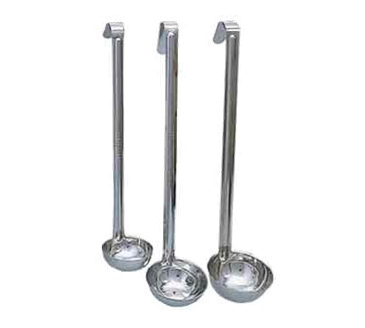 This durable ladle features a one-piece construction and is built to last through intense use in a commercial kitchen. It’s made from stainless steel and polished to a mirror finish. The handle measures 12.5 inches and the ladle holds up to 8 ounces of liquid. Excellent product will buy again.